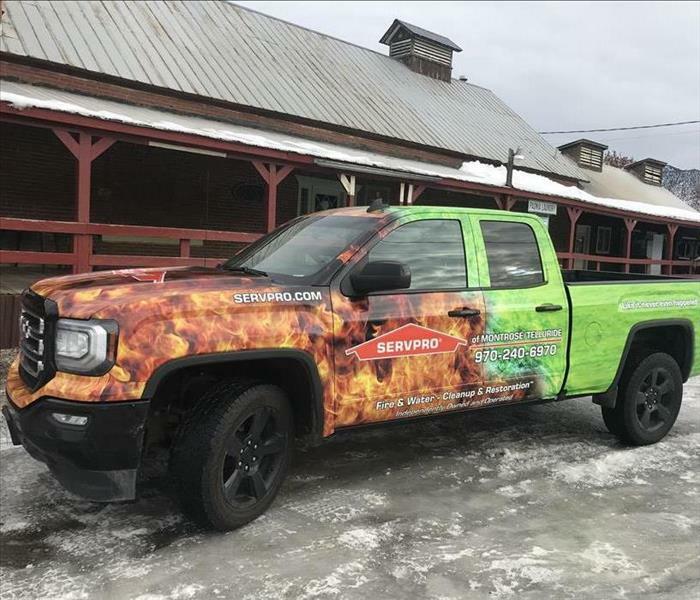 SERVPRO of Montrose / Telluride has built an outstanding reputation in this community by bringing the same level of dedication and detail to the job site no matter the size of the claim. Our crew chiefs have overseen significant restoration works carried out at numerous resort towns. The team here spreads across 220 miles from Paradox Colorado, to Pitkin County. Each member brings their own unique experience including general construction, underground mining and customer service management. Together our customers rate us at an impressive 4.8 out of 5 stars taken from 200 reviews. However, we believe we can always do better, which is why we consistently invest in the training of our staff, our facilities and our equipment. For fire, water, mold, flood or storm damage contact our emergency call line anytime, day or night. SERVPRO of Montrose / Telluride is locally owned and operated, so we are part of this community too. When you have a cleaning or restoration need, we’re already nearby and ready to help. We take pride in being a part of the Montrose, CO community and want to do our part in making it the best it can be. SERVPRO Supports Returning Veterans in Montrose, by Providing Volunteer Carpet Cleaning Services.